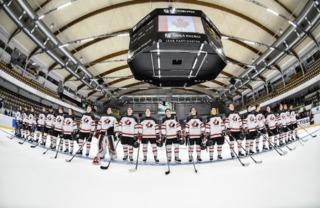 When Kaedan Korczak first walked through the doors of Prospera Place as a 15-year-old, he didn’t need to be sold on the team’s ability to develop talent that could succeed at the NHL level. 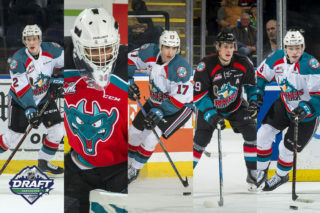 Memories of dominant defencemen in the team’s past, including names like Weber, Keith, Gorges, Myers, Schenn, Hannan, and Foote just to name a few, remind patrons, players, and Rockets’ staff alike of their success at the major junior level from British Columbia’s Okanagan. The way Korczak’s WHL career has progressed to date, he’s eager to add his name to that list in due time. Having turned 18-years-old in late January, Korczak has spent the last two full seasons with the Rockets. In the sense of his life, it’s part of a longer hockey timeline that has taken the stay-at-home defenceman to the highest possible levels all while remaining in Western Canada. The Yorkton, Sask. product was selected by the Rockets with the 11th-overall pick in the 2016 WHL Bantam Draft. 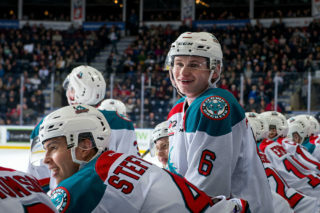 The second-highest player from his province to be selected in that year’s draft, Korczak fondly looks back on May 5, 2016 when the Rockets called out his name. Ranked 31st among all North American skaters by NHL Central Scouting for their midterm rankings, it’s a matter of when, not if he’ll hear his name called this spring in Vancouver, B.C. Fueling his hockey career over the first 18 years of his life, Korczak has had no shortage of important role models in his development. 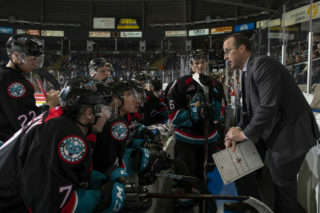 That includes long-time NHL defenceman Adam Foote, a veteran of 1,154 NHL games who came aboard as head coach of the Rockets in October 2018. Since then, Kaedan has had a chance to gain valuable experience about his development and working on what it’ll take to reach the professional hockey ranks. Foote added that while the focus can so often be on amassing points in a player’s draft year, the challenge of being a top power-play defenceman in the NHL wasn’t quite the same as it was at the major junior level. The ability to play against a team’s top lines and utilize his 6-foot-3, 188-pound frame was what mattered as well. 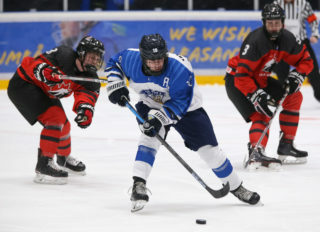 Though their season ended in a tough fashion last week in a tiebreaker game, Foote was already looking forward to the prospect of having Korczak patrolling the blue line in the 2019-20 WHL Regular Season. “[He’ll] be a year more mature so we’re excited about it,” Foote said. “With Kaedan, we’re going to get him to pass the puck more. I think the draft messes with these guys. Hockey also runs deep in Kaedan’s family. His younger brother Ryder is gaining experience as a rookie forward with the Calgary Hitmen. 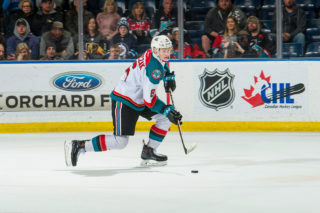 While they’ve only had the chance to play together for a year due to their age gap, the pair did face each other for the first time in WHL action in December 2018. For the record, Ryder’s Hitmen took the 5-1 win while the younger Korczak scored the fifth goal of the game. “He’s a sneaky little forward so he can put the puck in the back of the net more than me,” Kaedan said of his sibling. The older Korczak has provided a solid offensive touch as well, producing 33 points (4G-29A) in 68 games this season. He’s at 49 points (7G-42A) for his 139-game WHL career, ahead of his younger brother for the time being. They both hail from Yorkton, situated in the eastern part of Saskatchewan that has become quite a strong producer of hockey talent. In addition to the Korczak brothers, Florida Panthers forward and former Brandon Wheat King Jayce Hawryluk call Yorkton home. Fellow draft-eligible players Brett Kemp of the Medicine Hat Tigers, Nolan Maier of the Saskatoon Blades, and Carson Miller of the Victoria Royals and more call the region home. “It’s meant a lot and it’s awesome to have a community that’s that tight,” Korczak said.